Texas Waste Co., is Kemah’s very own local porta potty and party rental provider. Since 1999 we have been delivering exemplary service and highly sanitary portable toilets, hand wash stations and restroom trailers to companies, construction sites and special event venues in and near the community of Kemah. We’re proud to be a part of this town and appreciate our local heritage. That’s why we go beyond just providing service to Kemah. We hire local and pay it forward by spending our money at the Boardwalk. Our reputation for dependable, same-day delivery at a competitive and transparent price has made us a trusted resource, not just for the city of Kemah, but throughout the industry. That’s why porta potty brokers choose to work with Texas Waste Co. They know that we’ll treat their customers like our own with consistently superior service and sanitary portable stations. All of our porta potties, portable wash stations and restroom trailers are privately owned, managed and cleaned. It’s our way of making sure that we can deliver on our promises to the good people of Kemah. The next time you need a portable toilet rental, hand wash station rental or restroom trailer rental, contact Texas Waste Co., where all your sanitary needs will be met with superior quality and dependability. Kemah was founded in 1824. It’s name is a word used by the Karankawa Indian Tribe, meaning ‘wind in face’. The city is well known for a lavish casino district that was operated by the Maceo family between the 1920’s and the 1950’s. When popular clubs like the Chili Bowl and Kemah Den were closed in the late 1950’s, the town became better known for its farmed seafood industry as Tilman Fertitta and the Landry’s Restaurants resurrected the economy. If your looking for the best service and price for porta pots in Kemah/Seabrook, TX we have them. 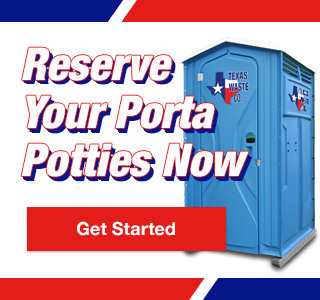 Kemah/Seabrook – Porta Potty Rentals Available Now!